1. Who did you think, based on the prologue, murdered the man? Were you surprised? 2. Gruen writes that many of the details in the story are true or come from circus workers’ reports. 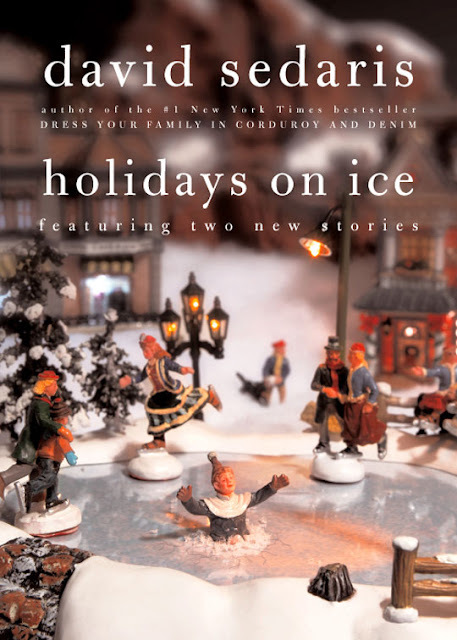 These stories include the hippo pickled in formaldehyde, the deceased fat lady being paraded through town and an elephant who repeatedly pulled out her stake and stole lemonade. The author did a ton of research before writing. Were the stories believable? 3. Did this book change your thoughts on the circus? 4. A cast has been named to bring these bold characters to life in the movie adaptation coming out April 15, 2011. It includes Coco's TrueLove4Eva, Robert Pattinson as Jacob and Reese Witherspoon as Marlena. What are your thoughts on the cast? Any changes in your opinion? And, I'm going to throw out the read for November and December. But, a warning: This book will offend about 20% of you. I'm not easily offended, so this only peaks my interest, but I want to be clear that it's not for everyone. I will guarantee, however, that it's a fantastic holiday read and one that will have you laughing out loud. 445 qty at $.01 (plus shipping) on Amazon. Go for it! Once I'm done with school, I'm joining your book club. 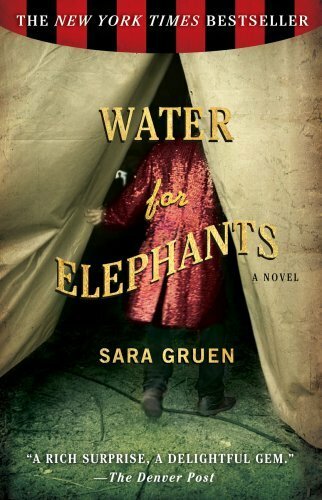 I really liked Water for Elephants when I read it. It did change my thinking of the old time circus...a little tainted now...a bit disturbed. That cast sounds fab to me! And as in offended you mean it's vulgar or something? 2. Yes, I thought the stories were believable...but I believe a LOT. 3. The book totally changed my mind on the circus. I hate it now. I feel so bad for all those animals! I have a puppy now and couldn't imagine her being treated like that! Also, I did find the caste system from the management to the crew interesting. Marlena seems younger than Reese Witherspoon. Like Kirsten Dunst or Hayden Panitierre...but maybe because they played cheerleaders? I LOVE Holidays on Ice! Bring it. Besides, our library doesn't have the new Laura Bush biography. BTW: a shout out to myself. I finished Eat, Pray, Love and The Help (finally). I'd describe him as an edgy writer, but pure genius. This book (and many of his other pieces) has been called a dark satire. My absolute favorite is the one about the families trying to out-do each other all in the name of Christmas spirit. I'm not trying to scare anyone off of the book......just want you to be prepared! I will only go see this movie because my best friend Reese Witherspoon is in it. I have not read the book because I am going to pay some darn good money to take my kids to the circus this spring and I refuse to have any moral guilt about doing so. 3. Didn't change my mind as I already was against circuses. I've never taken the kids. We don't do any animal entertainment in general including Sea World. Ok, you know I love David Sedaris and have read everything by him except the one that was just released. Last Christmas, I went to a play based on Holidays on Ice and it was fantastic. David is currently touring - you should see if he's coming near you. Info is on the barclayagency.com site and also his FB page. I slacked and didn't read this one ... but now am thinking I should after reading everyone's comments. Lauren - I'm anti-circus. I bet you'll see why when you take your kids. I took Carter at age 2 and haven't been back. Shannon - I missed him in KC. Will try not to do that again! I seriously get hysterical when I read the one about the families outdoing each other. AWESOME. from what i remember (i think i read this about a year ago--didn't rock my world like i thought it would) i thought, from the prologue, that marlena killed the man. robert 'what's his name' kind of grosses me out. reese, however, sounds like a good match. I'm so glad that you heard my scream in California all the way from Nebraska. Cara read your comment and she laughed with me that you heard my scream. 1) I found the the book revealed much about the plight of the elderly. The story is told as a flashback; Jacob recalls his days on the circus from his wheelchair in a nursing home. The flashback chapters account for the majority of the book, yet it was the present day chapters, as Jacob describes the challenges and the loneliness he was experiencing in the home, that I found most eye opening. 2) Don't get me wrong, the flashback chapters were wonderful. Though three main characters were primary to the narrative, the circus setting allowed the author to develop a host of unique personalities. The cast included carnival hands, big show performers, freak show additions, a rotund circus boss, and an entire zoo, including Rosie the Elephant. I enjoyed the evolution of these characters over the course of the story, most of all Walter. 3) If you've ever read Cormac McCarthy, you've seen the pinnacle of descriptive writing; the entire world seems to come alive with McCarthy's personification. Read McCarthy if you want a greater appreciation of the English language and the power of metaphor. However, with Sara Gruen you get meticulous detail. It is not hard to imagine the Depression-Era circus as she outlines and colors each setting with precision. I relish fiction but gravitate towards historical fiction above all. I appreciate Gruen's research and the knowledge she cultivated about her subject before ever putting pen to paper. It makes a fascinating narrative all the more relevant in my opinion. All in all, a great book. Totally agree. My favorite passages were the ones that described how he felt as an elderly man. 1) I guess I thought it was Marlena that had murdered Uncle Al. Though by the time I got into the meat of the book, I had forgotten all about the prologue. So when it reappeared in the text late in the book, I got excited because I could see what was coming. 2) I think the stories were absolutely believable. I really appreciated all the work Gruen put in before even putting pen to paper. The research made the book all the more better. 3)It didn’t change my opinion of the circus in general. I found that the caste system in the circus mirrored discrimination you find in everyday life. I was surprised to see that the animals were treated the way they were. I wonder if modern day circuses do the same things? 4)I think Reese Witherspoon is a good cast. I’d pick Ryan Gosling over Robert Pattinson. I’m not a big fan of Pattinson. Totally agree. I pictured Ryan Gosling while reading the book. He and Reese would be great together!